Universal App Support – This was the #1 request so here you go! 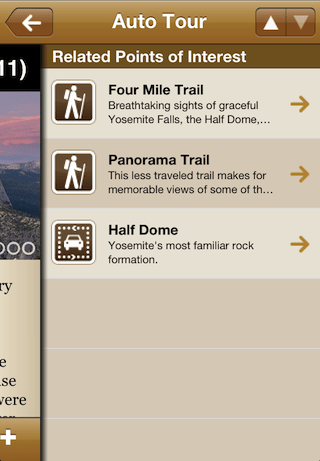 Run your favorite National Park apps on your iPad! New App icons – hope you like the new icons! Discussion forums for each point of interest and Facebook/Twitter sharing. We’ve integrated GetSocialize community forum into the app. Click on the new “Get Social” icon on the POI action bar and join the discussion! 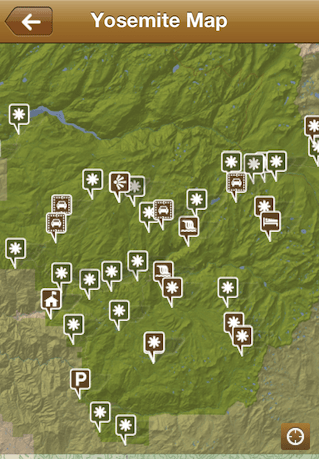 Mutli-POI icon clustering on the map – no more clutter on the main map! 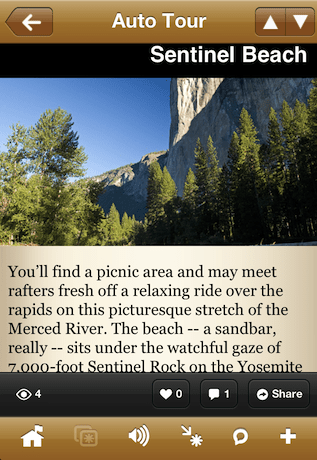 When you zoom in, points of interested (POIs) will automatically expand. Gesture-based Related Points of Interest. We added some “motion” into the Related POIs – you can either press the button on the action bar or you can swipe your screen to the side to view the list of Related Points of Interests. 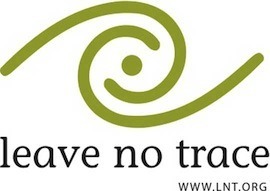 Last, but not least, we have added a dedicated section to the Leave No Trace Center for Outdoors Ethics. 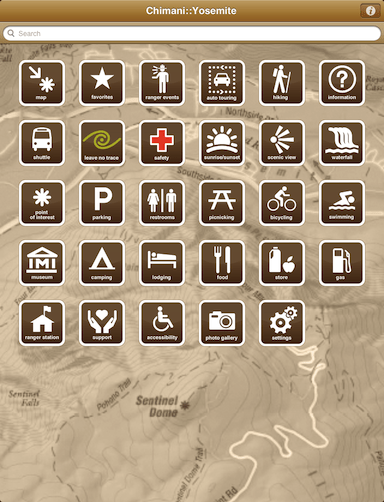 Chimani is a proud small business partner with Leave No Trace so we’ve teamed up to bring their “core principles” into the palm of your hand so that you’re reminded of them during each park visit. As always, keep the feedback coming – we love to hear from you!